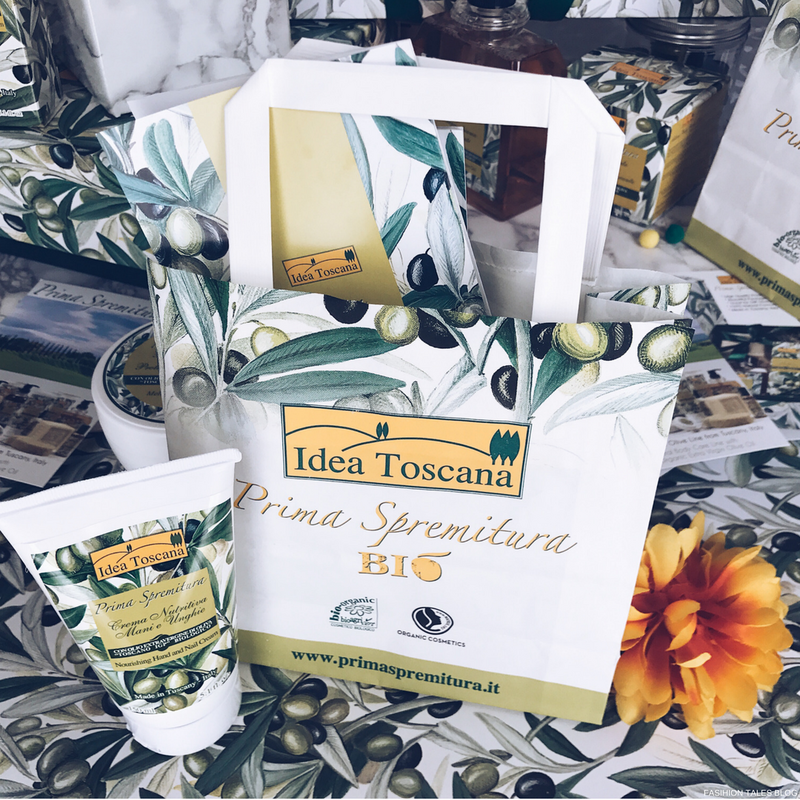 Idea Toscana is a luxury cosmetics company that produces organic bath and body care. 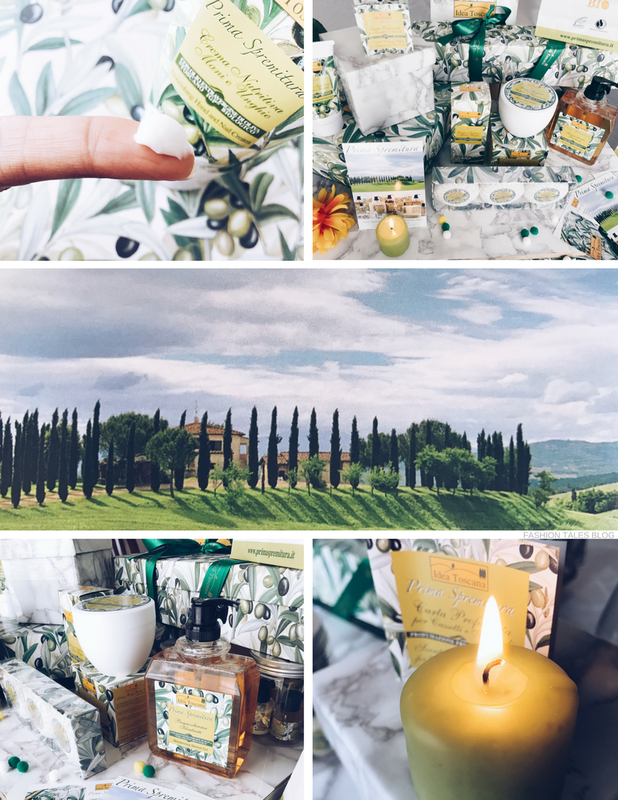 The Italian brand specialises in a natural body care and affordable luxe products. 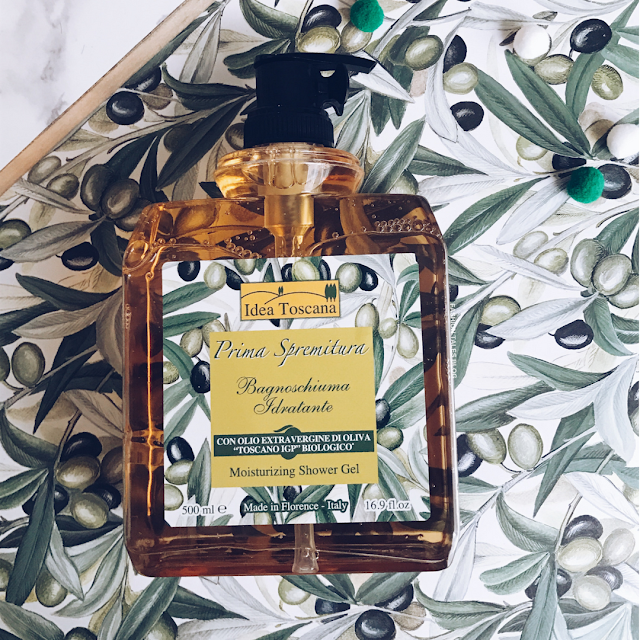 The new line, called Prima Spremitura (PS) uses 100% certified extra virgin olive oil (Organic TOSCANO PGI Extra Virgin Olive Oil), which has a fruity scent, taste and favoured from ancient times. The low acidity oil provides health benefits that include antioxidants—it's rich in polyphenols, vitamin E, and has cellular and skin ageing protective qualities. I recently had the pleasure of using many products from the PS range and I wanted to give you a brief summary of this collection. The past few years, I've been slowly trying to transition into using more organic and natural skin care. So far, so good. Firstly, the PS line has a plant-based origin, so I personally liked the smell as it offers a somewhat spicy aroma with subtle and sweet lingering floral notes due to essential oils stemming from vegetables used in their products. 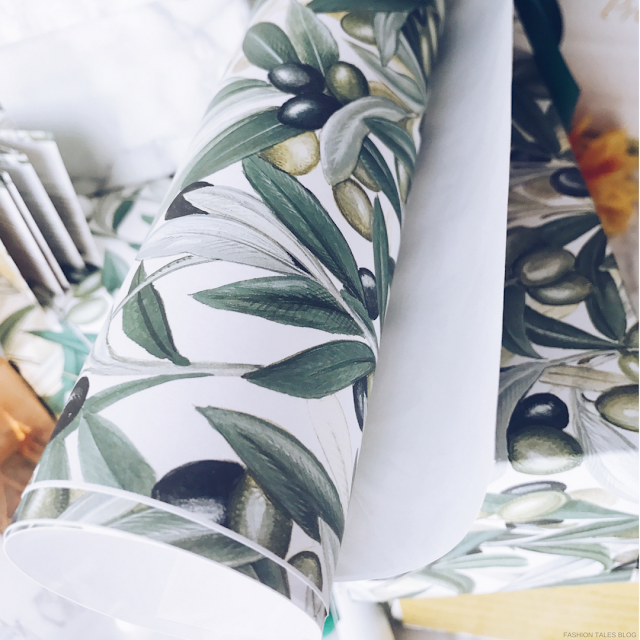 From the initial smell, the products give off a relaxing fragrance that is more of a woody and spicy scent, then herbal and floral aromas come in as underlining scents. The brand uses locally grown materials that aren't modified in any way. The process is effective and free of chemicals, synthetic fragrances, and harmful properties. Founded on ethical principles, all branded products are first-grade and do not contain silicone, mineral oils, parabens, artificial colours, and are not tested on animals. 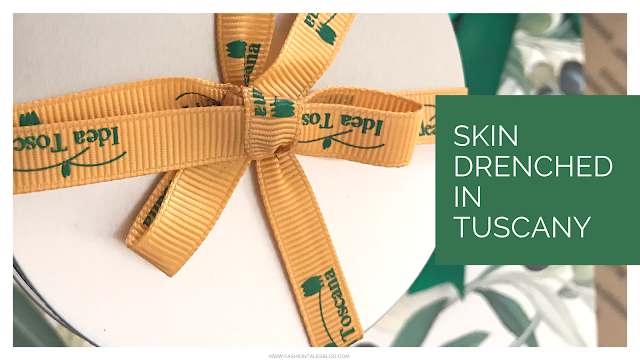 The travel-friendly gift tin is packaged in a small container and wrapped in branded mustard colour grosgrain ribbon and each worked perfectly for me during a recent weekend travelling excursion. Each bottle comes with a screw top closure. The Lip Stick is a shea butter, beeswax, jojoba and olive oil-based moisturising twist-up wand (just like a lipstick). Even though winter is over, its soft gliding texture is ideal for hydrating your lips any time of the year. The soaps are individually wrapped, and come in a gift box. They are made with orange peel, clove oil as well as olive oil and cedar oil. The shower gel is an amber translucent liquid, has a clasp tong closure, and spews out from a pump. The body butter and hand & nail cream is a thick and creamy formula that is solid and melts into the skin as you rub it in the palm of your hands. It's very moisturising and has a non-greasy texture. 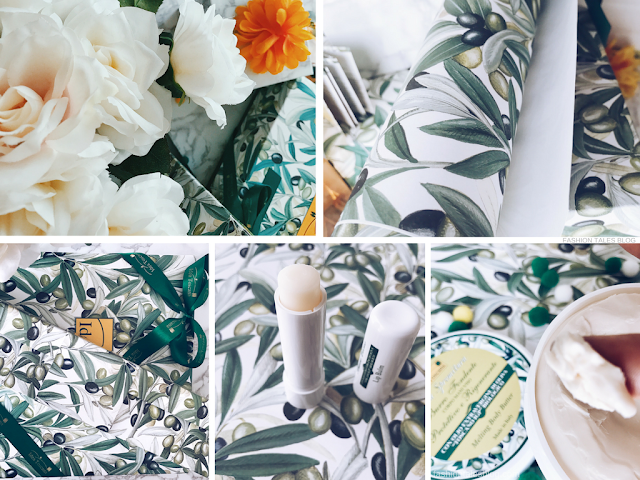 All products are beautifully packaged in colourful printing indicative of the calming Tuscan landscape, scenery and symbolic of the olive tree and natural yellowish colours—gift boxes are printed with olive greenery, brushstrokes of olives, and wrapped in branded emerald satin ribbon. 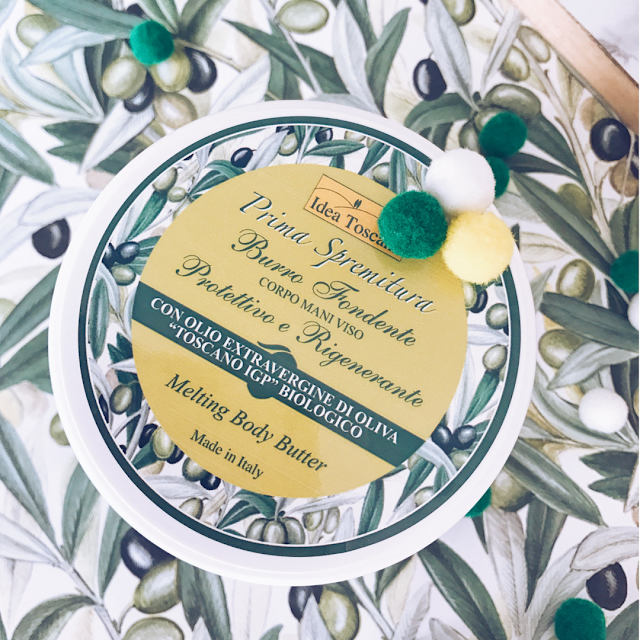 This Prima Spremitura collection would be ideal for delicate skin, perhaps anyone who may have allergies, or for someone that wants a refreshing organic scent that is plant-based. I also loved that the products smelled even better during baths—as the soaps are creamy and the shower gels both lathers nicely as the aroma radiates through the foam. This entire line is genderless, in that the scent is suitable for either male or female, in my opinion. It doesn’t have an overpowering feminine fragrance. This is what I actually found delightful, the fact that the spicy and floral ingredients combined sort of veiled the products in a pleasing way enough to be used by anyone. Do you use organic bath and body products? Have you tried this Italian brand? The goods: Gift sets, body lotion, scented drawer liners, shower gel, Lip Stick (lip balm), and body butter-Prima Spremitura-c/o. All opinions are honestly expressed and are my own. Shop these bath and beauty products here. Sounds fab! I have delicate skin so it would be perfect for me!